We professionally transfer PCM audio on video cassettes to CD and digital computer files utilising the very latest video/audio tape transfer technology. We can restore and convert PCM recordings from Betamax, U-matic, VHS and 8mm video tape formats. All our video/audio restoration and transfer procedures are undertaken in-house at our studios by true vintage audio media enthusiasts. Let us transfer your PCM video tapes to CD or computer files, and preserve your precious memories for all to enjoy again. The CD will be ready to play on your CD player or computer and can optionally feature a single track for each individual track on the PCM video tape. The tracks will allow you to select a recording without having to fast forward or rewind, as you had to with the tape. 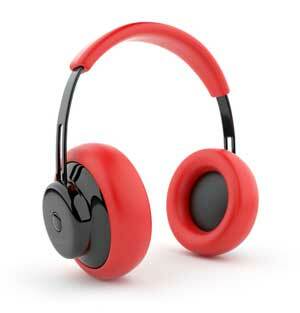 Each CD can accomodate up to one hour and twenty minutes. 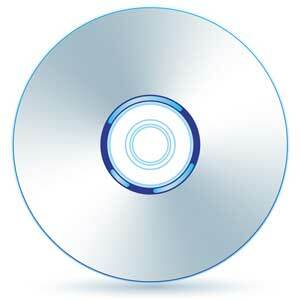 We can convert PCM video tapes to WAV (for Windows), AIFF (for MAC) or MP3. Each tape will be saved as a single audio file, or optionally, a single file for each individual track on the PCM video tape. The files will be ready to play on your computer or laptop, and are ideal for storage, or for importing into your computer editing software to create your own CD's. The digital files are supplied to you on CD-ROM, DVD-ROM, memory stick or card. We use professional PCM audio processors, and constantly monitor the tape transfer as it progresses. This enables us to make adjustments if required. We can convert PCM audio recordings from most video formats. Wether you choose CD or computer files, the same low price applies, starting at £25.00 per tape. 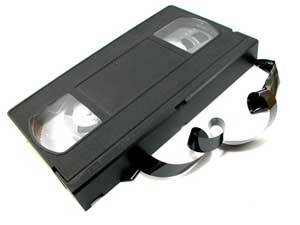 We can usually carry out a temporary repair to damaged or broken video cassettes in order to transfer them. Cassette stuck in video camera? Let us have the camera, together with all connection leads and instruction manual if you have them. 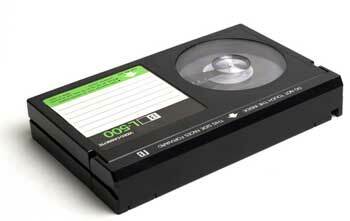 We can usually retrieve the video cassette for the purpose of conversion. We are proud to offer you our premium PCM audio on video transfer service. With over 35 years experience of video tape restoration and conversion, our family business was born out of a passion for vintage film and tape formats, and the equipment that was used to create and play them. We have been copying VHS and Betamax video tapes since these formats first became available in the 70's, and we were one of the first companies to offer a video to dvd transfer service as soon as recordable dvd's became available. We believe you are unlikely to find anyone who has restored and converted more video tapes than us! Technology has moved on in leaps and bounds over the years, and we have always invested in the latest technology to ensure our customers receive the highest quality video/audio transfer possible. Handling and working with delicate video media demands experience, patience and care. All our video/audio restoration and conversion procedures are carefully performed by us 'in house' at our studios. With our commitment for providing a professional quality service, you can be assured that your priceless PCM video tapes are in safe hands. We know you will be delighted by the results.